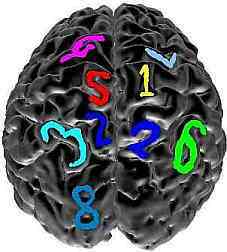 Study on numerical cognition and brain stimulation: participants wanted! We are looking for healthy adults to participate in our study about the effects of brain stimulation on different mental capacities, such as attention, working memory and mathematical thinking. You must speak English fluently, be right-handed, not be pregnant and have no personal or family history of neurological disorders. This study includes two visits on consecutive days to the Anna Watts Building in Jericho, Oxford. During the first visit, you will be asked to solve some numerical problems. While you solve the problems, we will stimulate your brain with a weak, non-invasive electrical current and your brain activity will be recorded using EEG and fNIRS, two safe, non-invasive techniques measuring electrical activity and blood flow, respectively. The second visit will be very similar, but without stimulation. The first visit will take no longer than 2 hours and the second visit will take no longer than 1.5 hours. You will be paid £10 per hour for your time. If you perform above average, you will also enter a lottery in which three people will win an additional £50. Reasonable travel expenses can also be reimbursed. If you are interested in participating or have further questions, please email Gal Raz via gal.raz@psy.ox.ac.uk. Take part in our Word Detective Quiz!